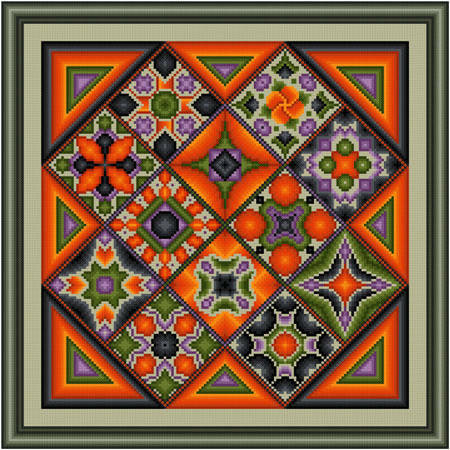 Enhanced Diamonds - Halloween cross stitch pattern... Diamond shaped sections are each enhanced with a different design. Shades of Halloween colors (orange, black. green and purple) are used. All whole stitches. Floss / colors may be changed.